We all know that the hot sun and delicious candy simply do not mix. We shouldn’t have to be deprived of our favorite summertime candy just because it’s a bit hotter outside, so how do we prevent our delectable from succumbing to the sun’s heat? 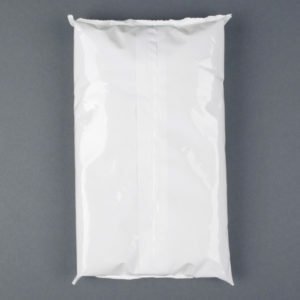 By including ice packs with your order at Blair Candy, you can protect your sweets for up to 48 hours. We suggest one ice pack per each item ordered, as UPS, US Postal and Fedex trucks are not air conditioned! We also suggest having your candy delivered in to an address where someone is there to accept your package once it’s delivered. The longer your candy delivery sits on your porch, the more likely it is to melt. Father’s Day is just around the corner on June 19th! Luckily, BlairCandy.com has fun and tasty gifts for all the special dads in your life. 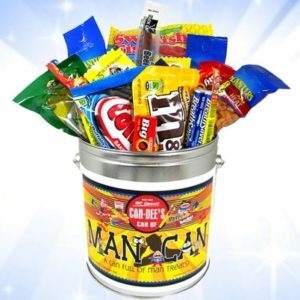 The Man Can – When shopping for Fathers Day candy gift baskets, there aren’t too many options out there. That’s why we created The Man Can! Its a unique snack gift basket with 29 candies and snacks. Its not just a regular basket, however – it resembles a paint can! Jelly Belly Draft Beer Jelly Beans – Does he love both beer and candy? These new beer-flavored jelly beans from Jelly Belly are the best of both worlds. They even come in a realistic beer can! Meat Snacks – Blair Candy is proud to offer a variety of meat snacks for the lover of beef jerky, sausages and more. Surprise the special dad in your life with an array of meat snacks such as Jack Link’s Beef Jerky, Fire Cracker Pickled Sausages, or Amish Smokehouse Spicy Beef Sticks. Remember, not all candy travels well in warm weather, such as chocolate or gummies. We recommend adding ice packs to your order if you choose items that are heat-sensitive. New to our store are Crick-Ettes – genuine crickets lightly seasoned for your snacking pleasure! 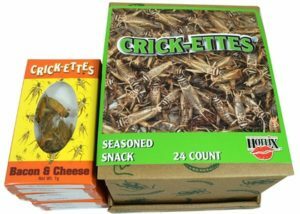 In case crickets themselves weren’t a delicacy enough, these crunchy critters are available in Salt n’Vinegar, Bacon & Cheese, and Sour Cream & Onion flavors. There’s 24 packs per box with 6-8 seasoned crickets per pack. With only nine calories per serving and plenty of protein, enjoy a box of Crickettes for a healthier snack option. This “other green meat” is sure to satisfy your urge for crunch!